A new study of mobile behavior in Hong Kong shows 13.2% of mobile users respond to ads, but marketers must be aware of the right time to grab users. Unlike traditional research, this Beehive Connect report is based on more than 2 billion mobile data logs collected in 2013. The study shows that Friday marks the highest mobile usage in Hong Kong while Sunday has the lowest. Meanwhile, marketers are most keen on placing advertisement on mobile news channels. 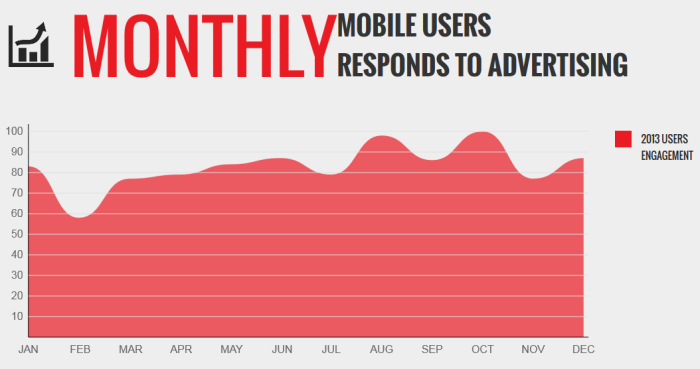 And consequently, news app records the highest response engagement rate on ads. Taking a closer look, 8am is the peak time for users to consume content on mobile, followed by 6pm to 7pm in the evening. 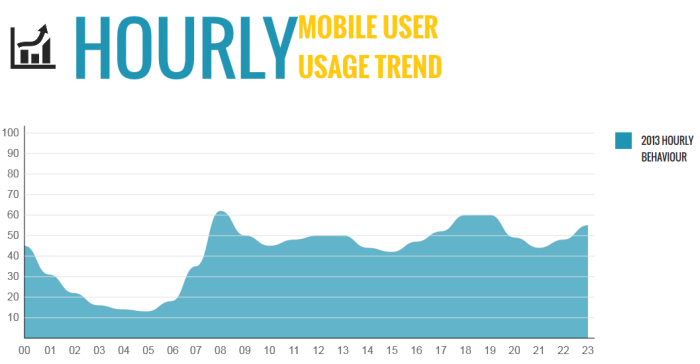 “It is quite interesting that during the weekend Hong Kong mobile usage drop nearly 50% compare to weekdays. Most people would thought people will be use more during the weekend,” said Kenneth Kwok, managing director of Beehive Connect.